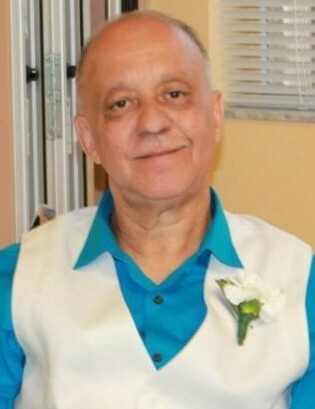 Obituary for Heriberto "Gilbert" Rijos | Rodriguez Funeral Home, Inc.
Heriberto Rijos, age 64, passed away on August 30, 2018 in Philadelphia, Pennsylvania. He was lovingly known as "Gilbert". Born in Dorado, Puerto Rico to Heriberto Rijos and Herminia De Jesus. Loving life partner of Nilda Marrero; devoted father of Nancy Diaz, Wilbert Rijos, Gilberto Rijos and the late Heriberto Rijos Jr.; beloved brother of Carmen Colon, Ana Santos, Amarilys Cruz, Nancy Ceseros, Angel Rijos, Jacob Rijos and the late Dominga Lopez; step father of 6 daughters and 8 son; precious grandfather of 5 girls and 3 boys; and great grandfather of 2 girls and 1 boy. Relatives and friends are invited to his viewing on Monday, September 10, 2018 from 6:00 pm to 9:00 pm and Tuesday, September 11, 2018 from 8:00 am to 9:00 am at Rodriguez Funeral Home, J Street & Erie Avenue, followed by a Mass of Christian Burial at 10:00 am St. Hugh of Cluny Church, Tioga & Mascher Streets. He will placed to rest at Greenmount Cemetery of Philadelphia.